This 2009 recording Benny Goodman Revisited is one of several fine tributes to Benny Goodman that have been made over the years. Eddie Daniels also recorded a terrific homage, Benny Rides Again but what sets this apart is the superb nature of the arrangements and the WDR Big Band at whom you can throw almost anything and they will throw it right back at you with just as much force. Remember also this record was made during the Michael Abene years (as arranger and conductor) at one of the most prominent Big Bands in Europe and, indeed, the world as well. This is actually more than a mere musical tribute; it is a tableau featuring two extraordinary musicians (clarinettist Paquito D’Rivera and the vibraphonist Christopher Dell) playing the parts of two extraordinary characters vibraphonist Lionel Hampton and clarinettist Benny Goodman, who led several of the greatest Big Bands in the history of music. It is a tall order not only to play that music well, but also to recreate the aura of the Benny Goodman Big Band with flair and panache. But that’s exactly what you get when the forces of the WDR Big Band under the baton of Michael Abene combine with Paquito D’Rivera as well as Christopher Dell. These musicians play with unbridled skill that melds together with the Goodman songbook of endlessly evolving compositional virtuosity and what a grand celebration in music it is. Voluptuous melodic lines rub slinkily against clawed and harmonically arresting performances by the Big Band. 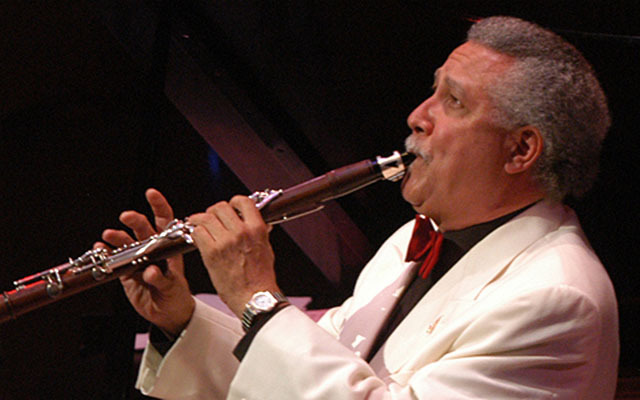 Woodwind and reeds soli soar breathlessly and Paquito D’Rivera needs but a gentle prod with a note or a phrase to unleash his fluttering solos. True Memories of You, Stompin at the Savoy and Sing Sing Sing are exceptional in their expressive intensity but if brightness only occasionally falls from the air the majority of Mr Goodman’s works, with their volte-face humour and open-hearted delight in the unexpected and in their swing, reflect a joy in compositional wizardry. 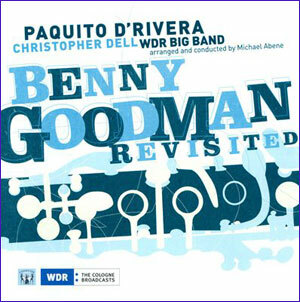 Such qualities are dazzlingly articulated by Paquito D’Rivera and Christopher Dell (when called upon to solo), and, of course, the great WDR Big Band, with one performance after another of crystalline brilliance and musicianship. Hear the gloriously perky and resilient opening to Sing Sing Sing or the way Paquito D’Rivera conveys the mock grandeur of Stompin at the Savoy almost as if the dancers of the Savoy were relishing it all over again. The musicians capture all of the music’s grandeur (its simultaneously elegiac and assuaging use of sixths and thirds) and is warm conciliatory in the slower, more statuesque movements before firing off the finales’ testy and explosive whimsy. These performances are clearly a prime love for Paquito D’Rivera and Christopher Dell, as well as the WDR Big Band. They will also surely be a prime love for all connoisseurs of Benny Goodman’s music as well, which is why this is an essential recording on many fronts. Track List: Slipped Disc; Let’s Dance; Memories of You; Stompin at the Savoy; Benny; Don’t Be That Way; Soft Winds; Sing Sing Sing; Goodbye. Personnel: Johann Hörlen: alto saxophone, flute & clarinet; Karolina Strassmayer: alto saxophone, flute & clarinet; Olivier Peters: tenor saxophone, flute & clarinet; Paul Heller: tenor saxophone, flute & bass clarinet; Jens Neufang: baritone saxophone, flute & bass clarinet; Wim Both: trumpet & flugelhorn; Klaus Osterich: trumpet & flugelhorn; Andy Haderer: trumpet & flugelhorn, John Marshall: trumpet & flugelhorn; Ludwig Nuss: trombone; Marshall Gilkes: trombone; Andy Hunter: trombone; Mattias Cederberg: bass trombone; Paul Shigihara: guitar; Frank Chastenier: piano; John Goldsby: bass; Hans Dekker: drums; Michael Abene: arranger and conductor; Paquito D’Rivera: clarinet; Christopher Dell: vibraphone. The WDR Big Band Cologne serves as a group of musical ambassadors, promoting culture to audiences around the world by performing jazz and jazz-related music. Grammy awards in 2006 and 2007 and numerous Grammy nominations over the years reflect the band’s international acclaim, which continually evolves and strengthens. Musical borders are musical challenges. The WDR Big Band Cologne develops and performs new programs in many styles. 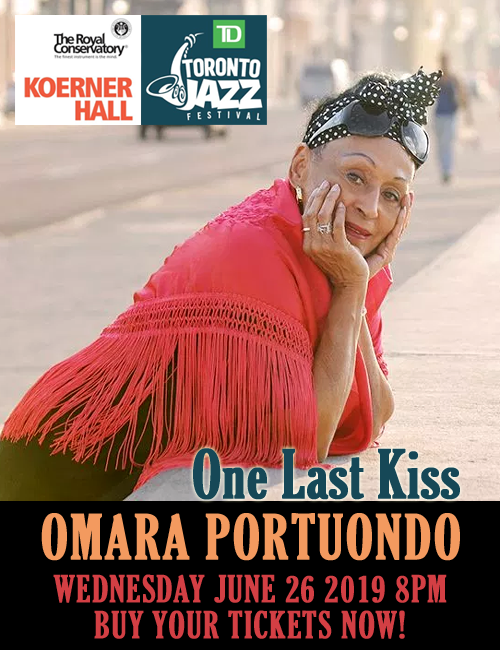 Because of the international diversity of the band’s personnel, their jazz productions often pay tribute to the European music tradition. This concept—linking different cultures through music—plays an integral role in the selection of the band’s projects.